Before we could create the most dynamic program available, we needed to understand what was and wasn’t effective in engaging young Catholics in their faith. 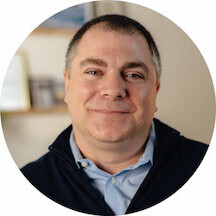 We conducted hundreds of interviews, analyzed every Confirmation program available, and explored best practices among other Christian churches and groups. What we learned shaped our entire program. That’s why DECISION POINT consists of 72 short films, a student workbook, and a leader guide. That’s why the content meets teens where they are in their everyday lives. And that’s why the program is available for free. We believe every Catholic in America should have access to the best Catholic resources. But the reality is, only 10 percent of parishes can afford great Catholic resources. Thanks to the generous support of Dynamic Catholic Ambassadors, we are able to provide world-class programs, books, CDs, and more to every Catholic and every parish in the United States for free. 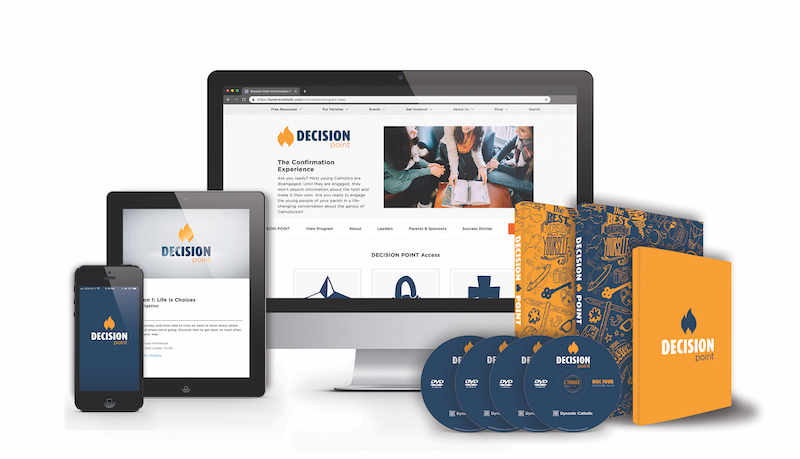 The entire DECISION POINT program is available online, making it convenient for anyone to watch the 72 short films and download the student workbook and leader guide. We’ve even created an email program for parents and sponsors so they can join their child on this life-changing journey. Throughout our research, parish leaders asked for physical program materials. Responding to this request, we developed a student workbook, a leader guide, and a DVD set. Our free Program Pack includes one copy of each item. Materials may also be purchased separately. We've made it easy for anyone to access the program anytime, anywhere. Download the free DECISION POINT mobile app to watch or listen to the 72 short films, view the student workbook and leader guide, share content with family and friends, and much more.